I have CVS’s Extra Care card which gives frequent shoppers coupons. I always get a little lift to my day when I get a $5 off coupon on my receipt. I have been trying to figure out the logistics of doing a reward type system for my TPT store. I think I may have found a way to reward my “Super Shoppers”. 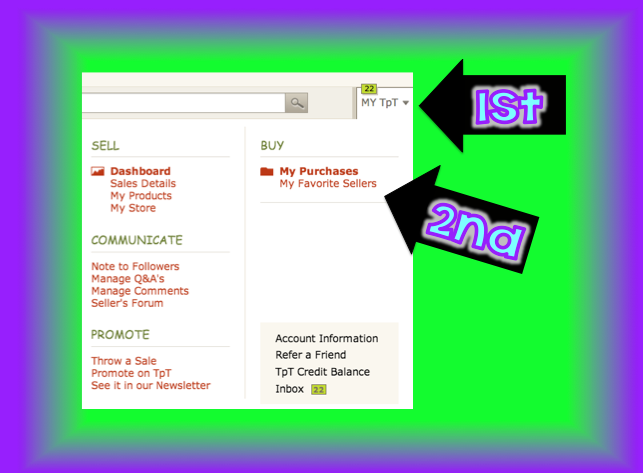 If you purchase 5-10 items from my store email me the link for one or more items that equals $4 or less from my store you would like as your reward and your TPT screen name. *You can only get 1 reward during Level 1. *Purchasing 5-10 can be accumulated over time. To check your purchases from my store, go to “my purchases”. If you purchase 11 – 15 items from my store email me the link for one or more items that equals $6 or less from my store you would like as your reward and your TPT screen name. *You can only get 1 reward during Level 2. *Purchasing 11 – 15 can be accumulated over time. To check your purchases from my store, go to “my purchases”. If you purchase 16 – 20 items from my store can email me the link for one or more items that equals $8 or less from my store you would like as your reward and your TPT screen name. *You can only get 1 reward during Level 3. *Purchasing 16 – 20 can be accumulated over time. To check your purchases from my store, go to “my purchases”. If you purchase 20 – 25 items from my store can email me the link for one or more items that equals $10 or less from my store you would like as your reward and your TPT screen name. *You can only get 1 reward during Level 5. *Purchasing 20 – 25 can be accumulated over time. To check your purchases from my store, go to “my purchases”. **For every 5 packets that you purchase, you advance to a new level. Each new level earns $2 additional dollars in rewards. You can purchase one packet at the rewards amount or multiple packets that equals the reward level. **To figure out levels 5+, add 5 packets to the previous level and $2 to the rewards amount. You should receive your reward within 2-3 days.